This course focuses on the theory and experience of real-time digital signal processing techniques and interaction paradigms that allow for the interaction with sound objects and processes. The first part summarises and compares various real-time audio analysis and synthesis models especially focussing on over-lap add signal processing techniques such as granular synthesis, PSOLA, additive synthesis as well as phase-vocoder and other STFT based techniques. Particular attention will be paid to the experience of specific properties of the studied algorithms and their possibilities in the framework of interactive applications. The course is based on Max/MSP tutorials and examples using the specialised libraries FTM & Co developed at IRCAM. This course is based on the knowledge and skills acquired in the previous course on Basics of Real-Time Interactive Audio Processing and envisages the realisation of interactive musical works with the students. Projects on interaction with recorded sounds based on sound representations and spatial metaphors are encouraged. The course is mainly based the Max/MSP programming environment and the specialised libraries FTM & Co developed at IRCAM. If required, students can use any computer music tool of their choice for the realisation of their projects. 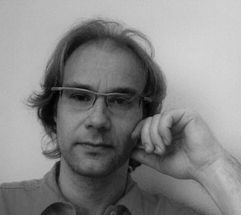 Head of the Real-Time Musical Interactions team IRCAM – Centre Pompidou, Paris Norbert Schnell is born in Hamburg (June 1st, 1967) where early he gets engaged in music composition and arrangement for theatre. He moves to Graz/Austria to study Telecommunications and Music. Among his music teachers are Georg-Friedrich Haas, Bernhard Lang und Gerd Kühr. He becomes studio assistant at the Institut für Elektronische Musik (IEM) and gets involved in contemporary music projects with composers such as Beat Furrer and Robin Minard as developer and adviser. 1995 he obtains his diploma as Toningenieur of the Technische Universität and the Universität für Musik und Darstellende Kunst Graz and enters the Real-Time Systems team at IRCAM. Since 2002 he is coordinating the Real-Time Applications team at IRCAM that recently changed its name to Real-Time Musical Interaction. He and his team are involved in scientific and artistic projects in the domain of computer music and digital audio processing focussing on real-time performer-computer interaction and interactive applications. The main research axes include scorefollowing, real-time audio analysis/resynthesis and recognition techniques as well as gesture analysis and recognition. Besides the engagement into artistic productions at and around IRCAM with composers such as Pierre Boulez, Philippe Manoury, Emmanuel Nunes and Marco Stroppa, he and his team participate in international research projects and collaborate with industry partners in the domains of music technology, education and simulation. In June 2006 he organised and chaired the 6th International Conference on New Interfaces for Musical Expression, NIME 06, at IRCAM.